Who Is Playing Darth Vader In Star Wars: Rogue One? One of the most interesting things about Rogue One: A Star Wars Story is that by jumping back to a time period that we’re (mostly) familiar with, the film has an opportunity to bring back classic Star Wars characters that we haven’t seen in 30 years. Of course, this also creates a problem, as after 30 years, most of the actors aren’t really in a position to play the roles as younger characters. One of the characters that we expect to see again in Rogue One is Darth Vader himself, and now we know who will be taking over the famous suit from David Prowse. However, much like Prowse’s own name in 1977, it’s likely not a name you’re familiar with. The actor’s name is Spencer Wilding. 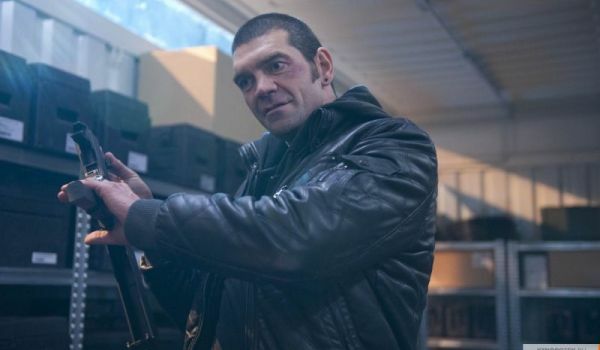 Spencer Wilding has been acting since 2005 and he’s had bit parts in various films that you’ve likely seen, though you may not recognize him, as his parts are often small, and he’s often played characters under heavy makeup. He’s played a variety of creatures for Doctor Who and has also portrayed one of the White Walker’s for Game of Thrones. Now, according to Flickering Myth, Wilding will be adding Darth Vader to his list of major roles. 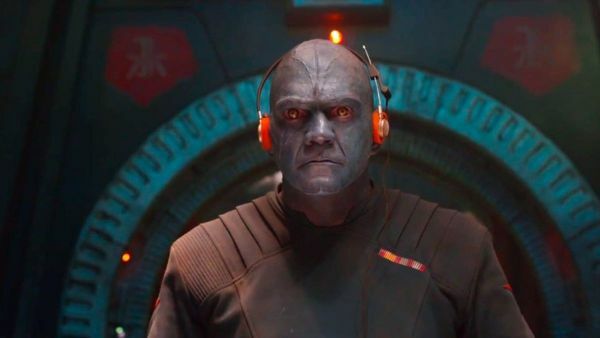 If there is a place you’d likely remember seeing him, it was for his role in Guardians of the Galaxy as the prison guard who steals Peter Quill’s Walkman. Here’s a shot of him as he normally looks playing a heavy in Ghost Rider: Spirit of Vengeance. Spencer Wilding has the one major thing that the physical role of Darth Vader requires, and that’s size. He’s 6’7", actually two inches taller than David Prowse, who portrayed the part in the original Star Wars trilogy. The report also says that Wilding been running lines on set, which his predecessor also did, even though he was eventually overdubbed by James Earl Jones. Jones is expected to return to do the same for Rogue One: A Star Wars Story though that has not yet been confirmed. Enjoy that Rogue One trailer one more time. Spencer Wilding looks to be a good successor to David Prowse for the iconic role. While Prowse was often overlooked compared to James Earl Jones, the physical demands of the role are at least half of the total performance. We’ll be looking forward to seeing Darth Vader come to life again in Rogue One: A Star Wars Story.